I spent the evening curled up with my new high-res scanner – my birthday present to me. And figured I’d share the wealth. 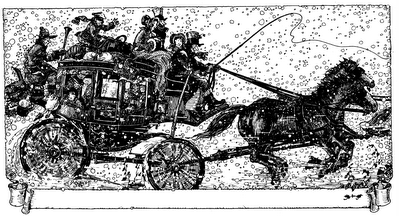 If you right click on this and SAVE LINK AS you will get a 320KB Hi-res scan of this old engraving (HolidayCard2.gif). It prints up nice and sharp at 4″x6″ and you can add whatever message your personal belief system dictates. Go nuts.